Friday, April 10, 2015 will mark the “First 100 Days” in office for Saline County Sheriff Rodney W. Wright. Sheriff Wright cordially welcomes you to attend a press event at the Saline County Sheriff’s Office, located at 735 S. Neeley Street, Benton, Arkansas from 10:00 am to 11:00 am. Sheriff Wright will discuss some of his accomplishments during the “First 100 Days” in office and he will also articulate his way forward. Four pillars that Sheriff Wright has built upon are: 1) professionalism; 2) accountability; 3) transparency and; 4) cooperation with other local, state and Federal law enforcement agencies. Federal and local law enforcement authorities sometimes do not get along. They have different missions and wear different uniforms. 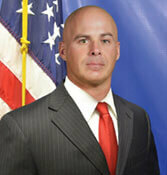 Sheriff Wright plans to discuss ways in which he is improving relationships with the law enforcement community. Sheriff Wright has taken steps to enhance the public image of the Saline County Sheriff’s Office (SCSO) by designing a new webpage and Facebook page. This will greatly improve communication between citizens of Saline County and the SCSO. Sheriff Wright has studied the existing manpower of the SCSO and has been decisive in combining certain duties, which have not only been cost effective, but have allowed for additional deputies to be on patrol. Additional training opportunities have been afforded to deputies, as well as the civilian staff. The expanded knowledge that the SCSO employees have attained will assist them in their day to day operations. Sheriff Wright stated that whether it is the experience he gained with the Benton Police Department or the experience he has gained while being the Saline County Sheriff, “it is all about leadership.” Sheriff Wright has over two decades of law enforcement experience and has attended several leadership schools, one of which is the illustrious Federal Bureau of Investigation National Academy. Please join Sheriff Wright on Friday morning at the Saline County Sheriff’s Office to hear him discuss his “First 100 Days” in office. If you chose to attend, please notify Lieutenant Jeffrey Silk at jsilk@scsosheriff.org. Light refreshments will be served prior to the press event.